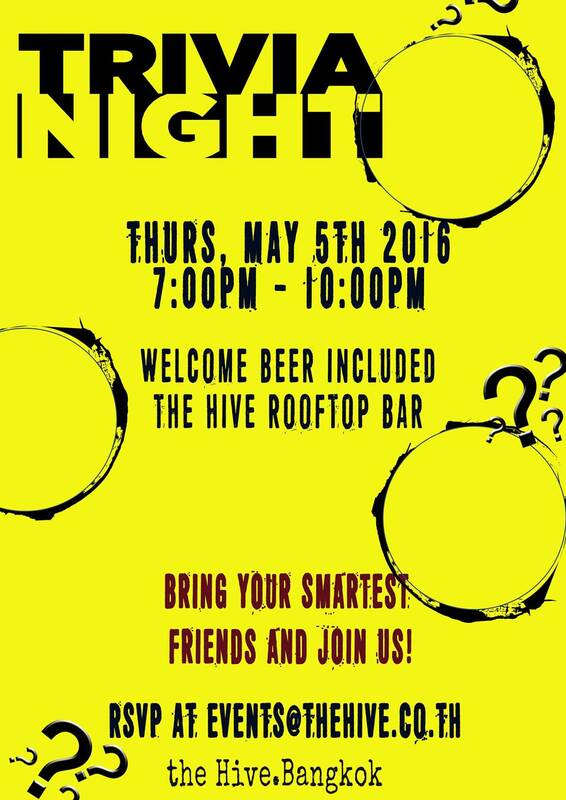 Don't miss out this Trivia Night. Welcome drinks are included and fun is guaranteed! During a trivia night, a master of ceremonies reads trivia questions split up into different categories or rounds. The questions are then answered by different groups of people in an audience. These groups, also known as "teams" or "tables," typically consist of 2 to 5 people who wants to participate. At the end of each question, a representative from each team turns in its answers to a panel of judges who then calculate the scores for each team. The teams compete against one another with the top two or three teams receiving prizes. Teams of up to Five. Drink up and square off against the best and brightest! Win prizes and the admiration of your peers. • No shouting out answers, right or wrong. I beg of you. • No outside information (laptops, cell phones, ESP, etc). • Teams of up to Five players are eligible for prizes. • Once you turn in an answer, you may not have it back. Trivia format is 5 rounds of 8-10 questions each for the first 4 round and bonus Music Round 20 questions. Get here early meet other members, grab a seat, and get situated.